Owner of Ferguson Funeral Home Inc. in Meaford and Ferguson Funeral Home (The Valley Chapel) Ltd. in Thornbury and Managing Director at the Meaford location. Kevin was raised in Meaford where he attended both Elementary and Secondary School. Kevin began his working career with a local Consulting Engineering firm but determined after six years that he would return to further his education in another field of endeavour. He graduated from the Funeral Service Education Program at Humber College with honours in 1979 and began a career in funeral service as a licensed director in that year. He has been with the Ferguson Funeral Homes since 1987 and purchased the business in 2002 following the death of Allan A. Ferguson in 2000. Kevin has been involved in the administration of Hockey in Ontario for many years beginning with the Meaford Amateur Athletic Association and the local Georgian Bay Minor Hockey League. He has served as the President of the Ontario Minor Hockey Association (OMHA) from 2002 to 2004 and continues as a member of that Executive Committee since 1991. He has also served as a Director of Ontario Hockey Federation (OHF) and continues to enjoy his work on behalf of youth in sports as a member of the OHF Bursary Committee. Managing Director of Ferguson Funeral Home (The Valley Chapel) Ltd., in Thornbury. Shawn was raised in Meaford where he attended both Elementary School and Georgian Bay Secondary School. Shawn began working with the Ferguson Funeral Home in Meaford while attending Secondary School assisting in many aspects of funeral service. His interest in assisting families served by the Ferguson Funeral Homes evolved to his desire to obtain certification as a Funeral Director. Shawn became a graduate of Humber College Funeral Service Education in 1981 and obtained his Ontario Funeral Director’s License in that same year. His many years of experience have provided him with the knowledge and expertise required to provide excellent service to the community in his role as a Funeral Director. 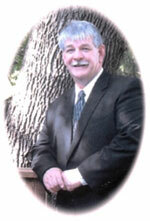 Shawn has served as a director of the Georgian Bay Funeral Service Association. Shawn and his family continue to reside in Meaford where he is an active volunteer with the Meaford Amateur Athletic Association where he capably assists as a volunteer in both the Minor Hockey and Ball Programs. When time permits, Shawn enjoys spending time fishing in Georgian Bay and looks forward to his annual fishing trip into northern Ontario. Funeral Director with the Ferguson Funeral Home Inc. in Meaford and Ferguson Funeral Home (The Valley Chapel) Ltd. in Thornbury. Johanna (née Almond) was born and raised in Meaford where she attended Elementary School and later graduated from Georgian Bay Secondary School. Johanna, an honours graduate of the Developmental Service Worker Program at Georgian College in Orillia (1994), enjoyed her position as a Support Counsellor for twelve years with the Ministry of Community and Social Services, supporting individuals with mental illness and intellectual and developmental disabilities. Johanna decided to return to school in 2005 and began her studies at Humber College in the Funeral Services Program relocating to Meaford and successfully completing her internship with the Valley Chapel location. Johanna graduated from Humber College with honours in 2007 and attained her Ontario Funeral Director’s License that same year and became a welcomed addition to the staff of the Ferguson Funeral Homes. When not at work, Johanna enjoys spending time with her husband and her three young children who keep her busy with hockey, baseball, soccer, gymnastics and piano lessons. During the warmer months they enjoy family bike rides to the beach. Johanna volunteers with the Meaford Amateur Athletic Association and the Sunday school program at Meaford United Church.